Working closely with the Eden Barn team, we have created a unique offering of exciting new menus to delight your taste buds and impress your guests. Most importantly, we believe that every couple is unique, and can create bespoke menus if you have something extra special in mind! 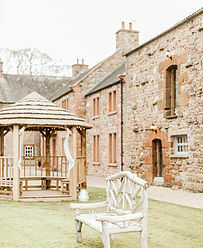 Visit Eden Barn here for more information and to download our new brochure. 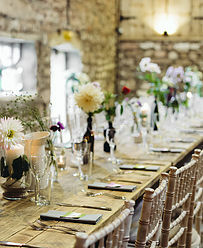 Eden Barn's exclusive, and intimate licensed wedding venue will immerse your guests in the charm and character of Cumbria's enchanting Upper Eden Valley. 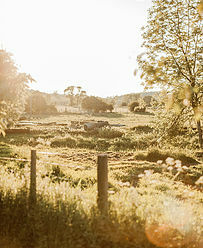 The barn has a unique rustic elegance that can be tailored to your theme, perfect for the style conscious couple. We believe that weddings should be fun, relaxed and enjoyable to arrange and only work with accredited suppliers who deliver a professional level of service worthy of your wedding. the layout in a way that best suits your needs for the day. This historic building links through to a newly constructed barn that has a vaulted ceiling, timber-framed portico, and exposed brick walls. Here you will find a handcrafted oak bar with a floral canopy. Eden Barn is situated in Little Musgrave overlooking the North Pennines Area of Natural Beauty, 3 miles from either Kirkby Stephen or Brough, Cumbria, CA17 4PQ.